I am travelling in "God's own country". But I am driving through the "Roadway to Hell". Its insane that we proudly say that we are a developing country and then serve up travel services that are way below the standards. Its inhuman that we have all levels of checking and approval departments and yet sanction that these roads are safe for human beings. 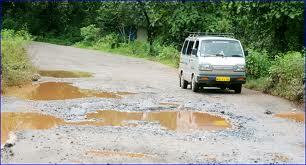 Its a joke that we buy wheels costing lakhs and crores and glide them over the deepest potholes that can be created. Its a pain to travel over 500 kilometres in these bumpy roads and traffic madness and wake up the next day with a smiling attitude. Its a crime that we allow people to trash and conduct themselves like barbarians on our roads. 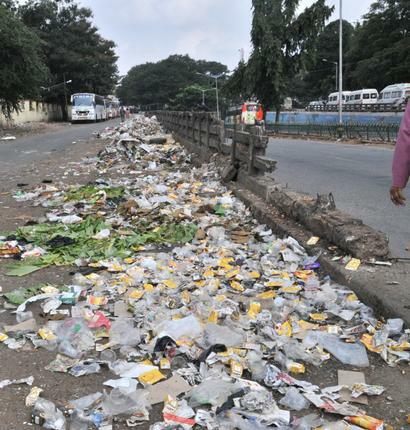 And expect that our civic authorities will help solve this. Its amazing we are all still alive. Its sad that we do not have any idea of how to end this rot. Its insulting that across the globe every country has a "Little India" where they allow us to be the barbarians we are and live in filth.